Adwords content advertisers might be left wondering where all their impressions disappeared to today. That impression vacuum? It’s Google bogarting a large portion of their content network with Nexus One display ads. This morning, Adsense publishers were reporting a dramatic drop in Adsense clicks and revenue. Have a cooking site? 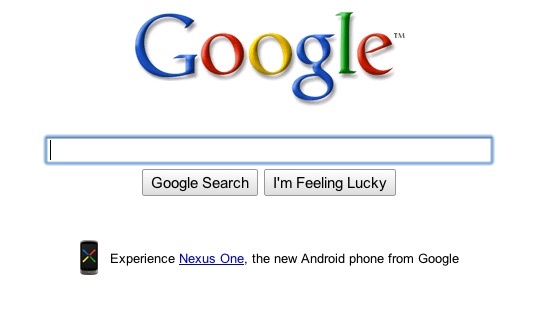 Google thinks the Nexus One ads are a perfect fit for your visitors. Soccer fan site? Here’s some Nexus One for you too. Obviously, search impressions are Google’s to do with what they please, but publisher inventory is a bit different. 10/10 Quality Score? As we can see here, the user experience is nicely augmented here by the volumes of valuable ‘magazine-style’ content. To be fair, Google has a nice little click-to-learn-more interface on the phone and a 3D tour to boot. Hopefully they were just kidding about the amount of content and navigation they’ve been asking advertisers to incorporate on their landing pages at the expense of conversions. It will be interesting to see how this plays out. 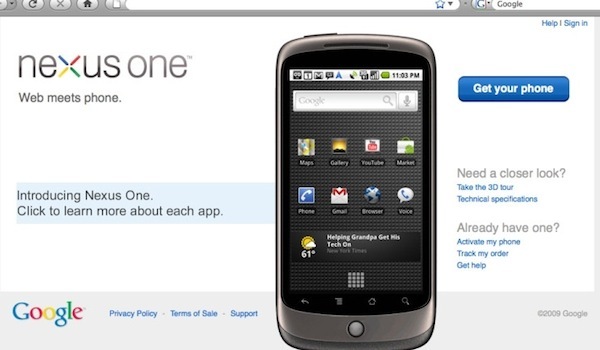 Chrome ads are also around, but not in anywhere near the volume of the Nexus One units. At least Adsense pubs can take solace in knowing that the ads are good enough for Google.com, so they should be good enough for them. Hopefully this is just a one or two day push and when they’re done perhaps Google’s advertisers can have the content network back. Do you run your PPC ads in different countries? If so, do you change your ad copy and landing page copy when targeting those different markets? For many years, global brands have altered their marketing campaigns to target different countries. An advertisement for a food product running in Australia may be markedly different from an advertisement for the same food product in the USA. Whilst we share a common language, cultural values and norms differ markedly from country to country, and even region to region. For example, what is considered soft sell in the US is often considered hard sell in the UK due to differing acceptance of overt commercial activity in those two cultures. Viewed from commercial America, British advertising looks like something bent out of shape by a culture so consumed with embarrassment it can’t look a salesman in the eye when he’s making a pitch, particularly if that pitch is laden shoulder high with emotion – love of country, family or God. From a mainstream US perspective our quirky elliptical leave-them-guessing advertising approach is kind of charming, but kind of unworkable too in America, with its fragmented audiences and ethnicities, its raging sensitivities and, above all, its huge risks. American advertising is risk averse because there’s so much at stake with those huge clients and their mega-spends. It means everything is researched to death so all backs are covered. If you’re running a PPC campaign in different geographic markets, then you’re running a global campaign. So, you need to think about approaching such a campaign as a global brand would do, and tailor your message accordingly. Your competition – who may understand those local markets intimately, as they live and work in them – will be designing their pitch based on local norms, so too should you, if you want to convert. Take a look at how your product or service is advertised in other media in your target country. What language do they use? What imagery do they use? How are they making the pitch? Is it subtle? Hard sell? Humorous? Now evaluate the ad copy and landing pages of your PPC competitors. What similarities do they share to each other? To ads in other media? How do they differ from how you would advertise in your own local market? A PPC ad written using US spelling displayed in another country screams “not relevant to this market”, especially when surrounded by ads that use local spellings. Use “s” instead of “z”, and watch those vowels! 🙂 Color becomes colour, center becomes centre and check becomes cheque. Here’s a good reference guide to common differences. Every culture thinks what they do is great, and what foreigners do is suspect. It’s not that you have to cave to others demands, but it does pay to be aware of them. If you’re trying to convince someone to buy something, then you need to talk the customers language, on their terms, no matter if they live in New York or, well, York. Just to complicate matters, there are significant differences between language in different regions in many countries, and particularly in the UK. Just like there are differences between New Yorkers and Angelenos, there are differences between those in the north of England, and those in the South. The South tend to think of themselves as intellectually and culturally superior to Northerners, and Northerners tend to think of Southerners as soft, fake and, well, elitist. These are generalisations, of course, but be aware that they exist, as these differences may alter your pitch. Change the language of your landing pages and ads depending on the accepted norms of local markets. 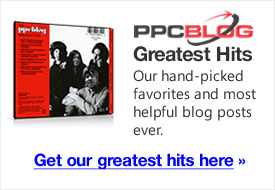 Align your language and style with the most successful PPC ads targeting those markets. Run with the winners and cut the losers. The world is get smaller. The internet, and tech in general, is being driven from America. Naturally, it comes bundled with US cultural values. This is leading to the Americanization of other countries and making boundaries, both physical and cultural, less of a block than they have been previously. A pitch that works in America can translate into other cultures without change, but that won’t happen as a matter of course.